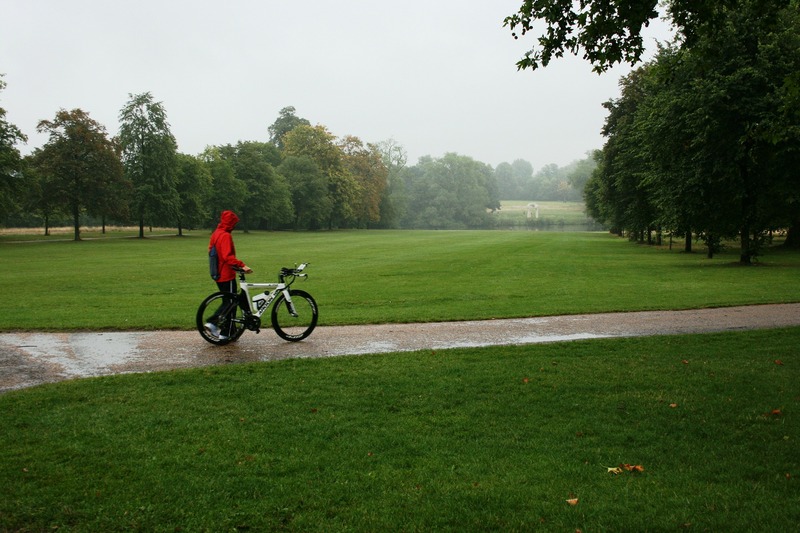 As we dive into the cold weather or winter, many beginning cyclists may wonder how to keep up their love of riding during the rain, sleet, and snow. Seeing as I’m currently in San Diego, I no longer cycle in fluctuating weather. However, I lived for many years in the Pacific Northwest where damp and dewy climates were my norm. Therefore, I have a great deal of personal experience cycling in the winter. I answered his question by bringing up the following 5 tips. Finding yourself stuck in freezing temperatures with too little on is a nightmare. Trust me, I know from experience. My number one tip for riding in colder weather is to layer, layer, layer. Most importantly, start with a base layer of the right material to keep you insulated and dry. The best material I’ve found is merino wool. However, polyester or spandex works well. I strongly advise against cotton since cotton quickly soaks up moisture and makes you colder. After you have a base layer of the right material, a water-resistant outer layer is of the utmost importance. I once rode without a waterproof jacket and found myself soaking wet and sick the next day. A cycle rain shell that ventilates well and underarm zips works beautifully. I find that this allows me to stay warm and dry, but cool off quickly if I get overheated. An important element of dressing the part for wet rides includes paying attention to your hands and feet. Obviously, we lose a great deal of heat through these parts of our bodies. Appropriate gear is therefore extremely important. For the hands, I would recommend waterproof gloves that have grips on the palms and fingers. This will help when your handlebars get wet. Regarding your feet, wear thick, warm socks with oversized shoes if possible. The general rule of thumb is to go a half size up with your shoes if you’re wearing thicker socks. Try and find socks that once again are not cotton. Cotton will only soak up moisture and leave your feet cold. Although this step does involve an investment, most studded tires are under $100 and are well worth the payment once you find yourself out on slick surfaces. It’s worth it to spend a little extra money than to find yourself injured. Buying studded tires was a game changer for me in wet weather. It made a complete difference in the quality of my rides and made me feel much safer. On longer rides in winter weather, I’ve also found that bringing insulated liquids makes a ride much more enjoyable. When you’re riding in the cold, a sip of icy water doesn’t exactly hit the spot. However, by bringing a warm drink, you’re warmed from the inside out and still are able to hydrate your body. Once, I had the genius idea of packing some hot broth in a bike thermos. Half way through my ride, I was overjoyed to have something that warmed me up and gave me more energy before I turned around and headed back home in the same freezing temperatures. Last but not least, riding through winter weather often leaves your bike dirty. Salt, dirt, and mud will find its way onto your bike after a rainy or snowy ride. If left unwashed, there’s a possibility that your bike will corrode. A great tip I’ve heard is to spray WD-40 onto your bike frame before you ride so that cleaning it afterwards is easier.